What are the export documents I need? Making the decision to export internationally can be a huge turning point for your business. It opens you up to new markets, increases sales, reduces financial risk, and sets you up for enhanced global credibility. But the procedures and documentation can often be viewed as an obstacle. And with procedures that differ depending on the country, the type of goods, and the value of those goods, it can be tricky to know where to start. 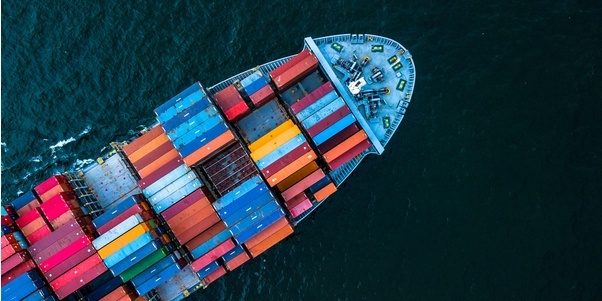 If you are yet to make a decision about whether exporting is right for your business, and you're looking for factual and practical advice, we suggest getting in touch with the International Department of Trade. But if your order is confirmed and you're ready to go, it's time to start thinking about documentation. So, what are the export documents you need? Why do you need Documentation? Documentation is required in some countries to clear customs. But it can also be required as proof of origin, enabling you to claim preferential duty rates or for banking purposes when payment is by Letter of Credit. Letters confirming UK registration and/or Chamber membership may also be required to accompany tenders or contracts. A Certificate of Origin confirms the origin of the exported goods. This would usually be issued for goods that are being sold abroad as a permanent export. A Certificate of Origin may also be requested for commercial or customs reasons. These are used for exports to Arab League countries exclusively. These are used for exports to non-Arab countries, Egypt and Iran. In some cases a client may request an EC Certificate of Origin for Arab League States. In this case, a signed Letter of Indemnity on your company headed paper with your application would be required. You must confirm with your client whether an EC Certificate of Origin will be sufficient for their needs as Arab CO is a preferred document for Arab League destinations. It is advisable that you obtain any such confirmation in writing to minimise any disputes with your client if the goods fail to clear Customs at the destination. So will you need an ATR form, or a EUR1 form? Well, it’s all dependent on the country you are trading with. The ATR document is applicable to any trade with Turkey - with whom the EU have a preferential trade agreement. This means that any goods are charged at a lower or 0% rate of duty. The EUR1 on the other hand is pretty much the same, but applies to any other country with whom the EU have a preferential trade agreement. You can apply for electronic copies of the export documentations here, but bear in mind these still need to be checked, stamped and manually printed before you can proceed with the export. Accompanying documents usually include your commercial invoice and a packing list (which will should concur with all of the details on your export documents). What other types of documents may need to be processed? Whether you require documents certified or legalised, or need a notary or apostile by the Foreign and Commonwealth Office (FCO), Bedfordshire Chamber of Commerce can help you. There's a lot to be learned when it comes to exporting. But your local Chamber of Commerce is there to offer guidance, advice, and training. Bedfordshire Chamber of Commerce offer up to 6 accredited workshops, delivered by highly experienced trainers, covering everything from HM customs, letters of credit, and general export documentation. For each workshop you complete you will take an assessment test. For those wishing to attend all six courses, upon passing, you'll receive a foundation award from the British Chambers of Commerce. The UK trade relationship with other countries has been a substantial part of our economy. In October last year, the UK government set out a strategy signalling it is to strengthen ties with countries like China, India, the US, Australia, and New Zealand. This all comes as a response to the referendum, but our 27 neighbouring EU countries still account for a huge amount of UK export. So there's alot of opportunity. But the importance of detail when it comes to export documentation is often overlooked. Some of the most common mistakes we see are minor and completely avoidable. With due diligence and attention to detail, export documents are not be feared. Your local Chamber of Commerce will offer a checking service, and categorically refuse to stamp any documentation that fails to adhere to best practices. A relationship with your local Chamber of Commerce is essential in helping you expand your business into overseas markets, and build your knowledge of international trade.